SERVPRO of Columbia and Suwannee Counties takes great pride in being a part of the Columbia and Suwannee Counties community. We understand that communities like ours hold America together. We want to do our part to ensure the Columbia and Suwannee Counties community thrives by helping those less fortunate, keeping the area safe and making our community the best it can be. 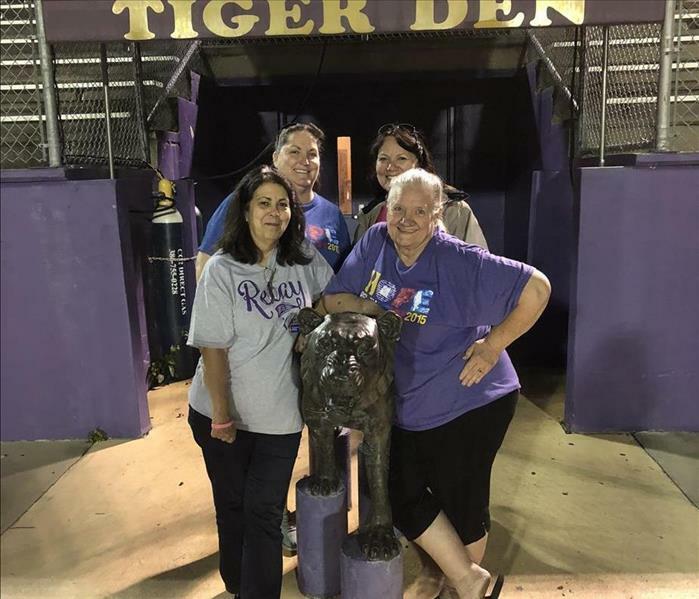 We participate in Relay for Life Columbia County annually and volunteer. Kim is on the ACS North Central Board of the American Cancer Society. Every year we have a Relay for Life team as well as she and her mom have been on the committee four of five years. Kim is a member of Altrusa, which is an international club. We volunteer and support the Tough Enough to Wear Pink events when the opportunity exists. We sponsor the March of Dimes annual "Taste of Lake City" Event. We also sponsor the Ducks Unlimited fundraising event every year. Most recently we have joined the Chamber A Team - Ambassadors for Lake City and hope to help make a difference in welcoming new business to our community. Our goal is to make a difference in our community and be a part of the things that happen here.